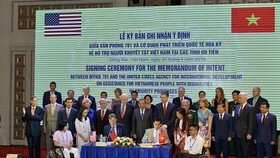 Vietnam always considers the US one of the most important partners and wants to push forward the practical and effective development of bilateral comprehensive partnership for the benefit of the peoples of the two countries, said Prime Minister Nguyen Xuan Phuc on August 3. 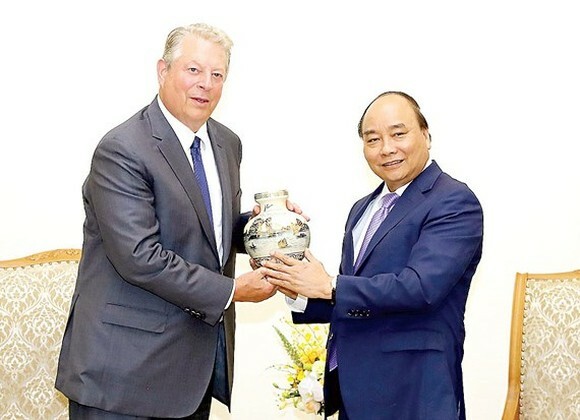 During a reception in Hanoi for former US Vice President Al Gore, the PM lauded the guest’s contributions to normalising and boosting bilateral ties in the past. Apart from trade and investment, he wished that the two countries would further reinforce joint work in clean energy development. 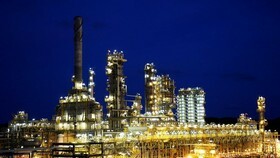 Vietnam is diversifying energy supplies and increasing the rate of renewable energies to ensure supply and meet international commitments to greenhouse emission, he said, adding that the country is seeking capital and technology to invest in the field. According to him, Vietnam and the US have actively partnered in energy, not only at the government but also corporate level. 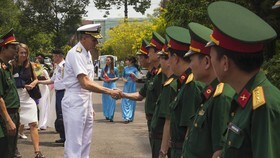 The PM wished that in any position, his guest would continue contributing to the Vietnam – US ties to bring benefits to their peoples. Al Gore, for his part, said Vietnam’s robust development has made important contributions to regional development. Recalling the PM’s speeches on environmental issues at the G7 Summit held in Canada in June and other international forums, the former US Vice President hailed Vietnam’s initiatives on global environment protection and climate change response. 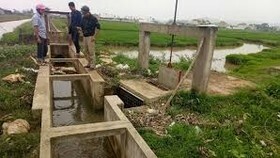 As Vietnam is one of the countries hardest hit by climate change, the guest said sustainably developing clean energy is an important step to mitigate pollution and impact of climate change. He added that the use of wind and solar power has become a trend in many countries, including China, Japan and India, thanks to its low cost. Speaking highly of Vietnam’s potential of solar and wind power, he said he hoped both sides would step up collaboration in the field.